Maya HTT has extensive experience in the transport electrification industry, as both a resource for key simulation software as well as providers of expert services and support. We understand the mechanical environments that our customers have to validate their designs against, including noise, vibration, and harshness (NVH), temperature extremes and shock. Maya can help you with analysis and validation of power management, electric systems and engine sizing for hybrid powertrain architectures in hybrid and electric vehicles and much more. Hybridization and full electrification are two of the most effective measures to reach emission and fuel consumption targets imposed by regulations. Simultaneously, vehicles must provide a high level of performance and comfort. With the LMS Imagine.Lab Hybrid and Electric Vehicle simulation solution, you can size vehicle components; design, analyze, validate and optimize architectures and power management strategies; and define and specify the best hybrid powertrain architecture for all vehicle attributes including fuel economy, performance and drivability. Maya HTT is an authorized reseller for Siemens PLM’s NX™, LMS and Teamcenter® software. These market-leading solutions provide state-of-the-art capabilities for the electric transportation industry development – spanning design and engineering to simulation and testing to final assembly and launch. Our knowledge of the industry, combined with our ability to customize and extend the NX™/LMS/TeamCenter platform, enables us to help electric transportation companies fully harness these powerful software suites. Our specialized services include process consulting, development and implementation of engineering methods, customized training, application development, and technical support. The Maya HTT-authored NX™ Thermal and Flow products allow for the efficient solution of the most complex heat transfer problems found in the electric transportation sector, no matter what mode of heat transfer is involved. 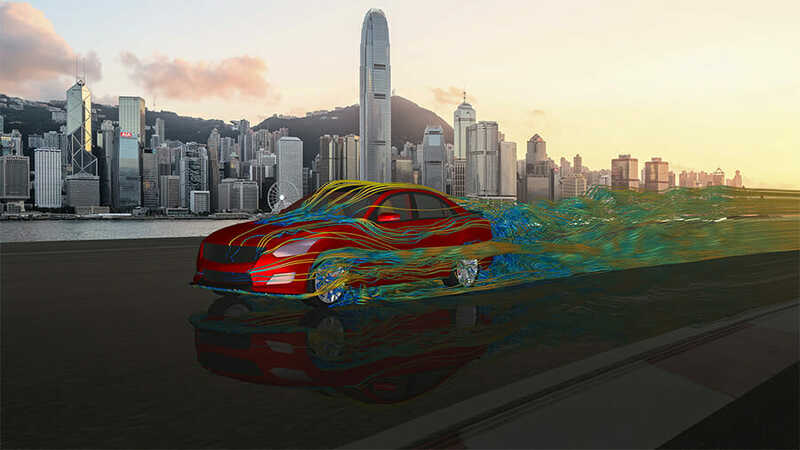 The NX™ Flow computational fluid dynamics product can be used to assess and optimize performance of a wide range of problems. The seamless integration of these products in the NX™ CAE software suite allow for very efficient simulation iterations, leveraging associativity between the simulation and CAD models. In addition we can help your team harness the power of NX™ Laminate Composites software to provide rapid creation and optimization of lay-ups. Maya HTT has performed thermal, flow and structural simulations of various power generation systems, using both standard and green energy technology. In addition, we’ve also performed thermal analysis of solar collector designs, evaluating the potential heat extraction for varied locations on Earth and time of year. Our customers have found that by working with Maya HTT, they benefit from our unique skillset to accelerate and enhance their development processes. Through our industry know-how, advanced software toolset, numerical simulation skills, and software development expertise, we have the resources to tackle your most advanced mechanical simulation challenges, and to ensure that your engineering methods are at the leading edge. Look to Maya HTT for outstanding service, unmatched breadth of expertise, and the highest quality support in the industry.